NYC is competitive, and restaurants come and go all the time. But Cuba has staying power and just celebrated their 10th Anniversary. 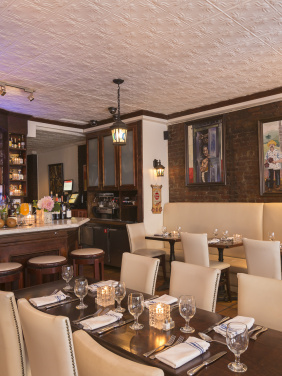 At this cozy Greenwich Village spot, you'll find authentic Cuban eats and bottomless brunch cocktails. (Shout out to my book club ladies-- I think we'll be going here in a few weeks for our next meeting). Start out with the Serrano Ham Croquettes for the table, and then move onto the Benedict Habaneros. It's similar to an Eggs Norwegian with Salmon, but made with Sweet Plantain Quinoa Cake instead of an English muffin. For something sweet, the Cuba Libre Torrejas are the way to go. It's Cream Cheese & Guava French Toast. Hard to turn down. 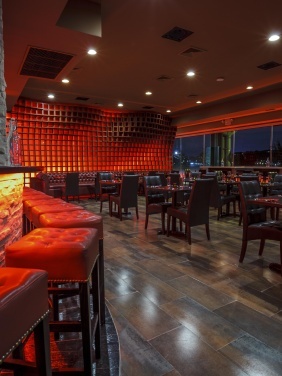 For only an additional $14, you can enjoy Unlimited cocktails (your choice between 5 different options-- Sangria, Caipirinhas, Mimosas, Bloody Marys and Mojitos). BTH (By The Hudson) is a new American restaurant that just opened two weeks ago on the Hudson River front in West Harlem. Most importantly, the restaurant has wrap-around windows that you'll want to sit next to, so you can enjoy sweeping views of the Hudson River and West Harlem Piers. BTH has a great line up of comfort food including Eggs & Grits and a Chicken & Waffle Sandwich. Perfect for the fall are the Sweet Potato Pancakes cradling cinnamon-laced apples and fresh fruit, with a dollop of creme fraiche. The Brunch Prix Fixe also includes Unlimited Mimosas and Bellinis. All in for $34.95? You're looking at a pretty sweet deal.